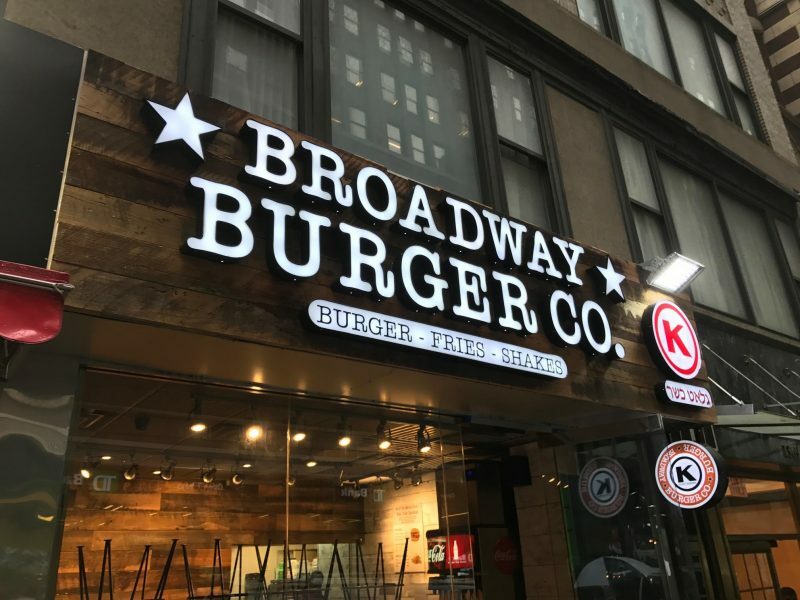 After the recent closure of Shuk Falafel in Midtown Manhattan, its next door kosher restaurant, Broadway Burger Co., will be closing as well on Sunday, 1/28. The kosher certifying agency which certified both restaurants is requesting that the restaurant make changes or close the kosher restaurant since Shuk is being converted into a non-kosher eatery, and this may cause Ma’arat Ayin issues with the owner owning both a kosher and non-kosher restaurant adjacent to each other. The burger joint was doing well in the year that it was open, so this closing is unfortunate.